If you are a cat person this video slot by Microgaming will make you love these amazing animals even more. 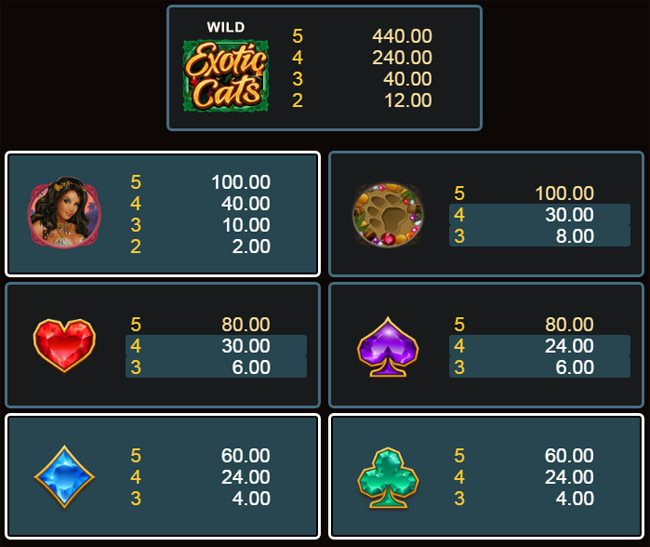 Exotic Cats is a 5-reel, 243-payline unique and fun game, you’ll certainly play for hours. If you feel lost in the jungle, wild cats will help you find your way and much more than that. Vertical Wilds feature and Free Spins feature are super lucrative and they’ll get you excited to start this exotic adventure. A world of lions, tigers, panthers, leopards, and cougars is waiting just for you! 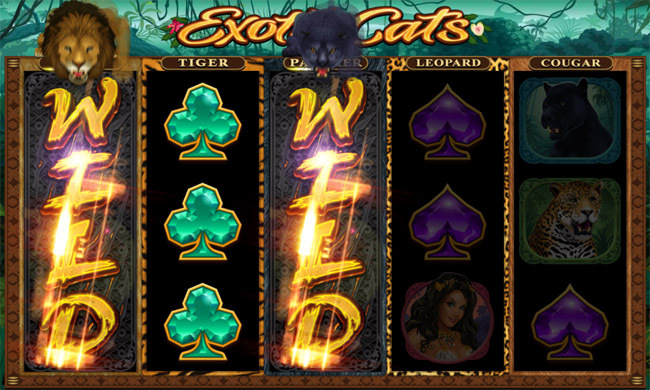 Exotic Cats video slot is inspired by big cats and obviously, they’ll appear on your screen as the main characters. It all happens in a jungle, where wild cats are living their normal lives, not even suspecting that you are after the treasure that’s hidden somewhere in the wilderness. Their look is designed perfectly and they all have gold coins beneath them, just so you can get an insight on how rich they actually are. Each reel has one of the cats on the top, watching out for your game and waiting for a moment to show her wild side. You’ll wait for that moment impatiently, and witness amazing animations and sound effects that will take your breath away. Apart from lions, tigers, panthers, leopards, and cougars, you’ll see beautiful jungle lady on the reels and immediately fall under her charm. Other regular symbols are card suits spades, diamonds, clubs, and hearts. Paw prints will also be all over the screen, so you can keep an eye on the movements of sly cats. We already mentioned the cats acting Wild, and it’s about time to talk about this special symbol. It’s represented by the Exotic Cats logo and it has the power to substitute for any symbol in order to complete the winning combination. This doesn’t refer to the Scatter (coin), which is responsible for triggering the Free Spins bonus round. As you can see, many exciting bonus games will also occur next to the base game that has a simple gameplay, great graphics and promises a lot of fun. Exotic cats are not only here to look good and lounge, their purpose is to provide you with awesome winning, which is much easier with the help of two special features. Vertical Wilds is a special feature that can be triggered once one or more cats appear, each on their own reel. Their presence means that they’ll turn symbols on their entire reel into Wilds. Since lion is the king of a jungle, he had to be number 1 in this entertaining video slot. Number 2 reel has a tiger above it, number 3 has a panther, leopard is in charge for reel number 4, and the fifth reel belongs to cougar. The ideal possible situation is landing each cat on a proper reel and having 5 completely wild reels on the screen. Free Spins feature is activated when you land at least three Scatter symbols. This means you’ll get to spin the reel 10 times for free, and if you’re lucky to re-trigger the feature, you’ll be awarded additional 5 free spins. You can even trigger Vertical Wilds feature during free spins round which means amazing prizes can be won. 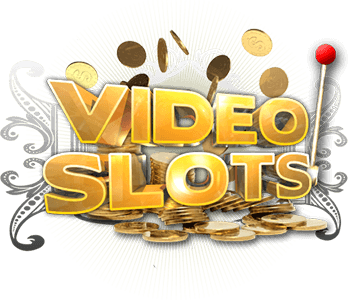 Exotic Cats video slot can offer 3,533 x your stake on each spin and unlimited fun! Big cats are the main inspiration for this fantastically designed video slot. 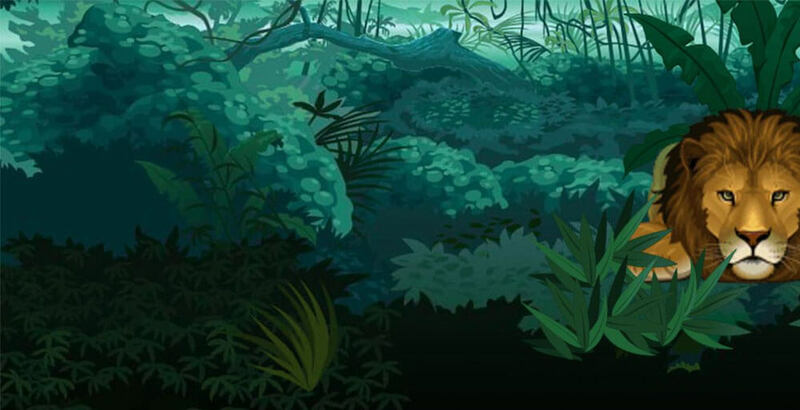 If you’re afraid to step into the jungle, think about the reels becoming wild, or 15 free spins you can win! Cats may have 9 lives but you only have one, so be brave and take everything that life has to offer! Welcome to Kaboo Casino! Play now and get a 100% casino bonus up to €50 + 100 credits! 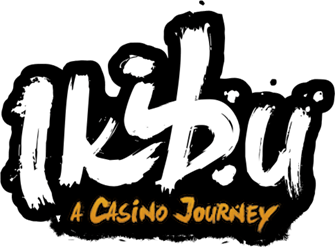 Welcome to Ikibu Casino! 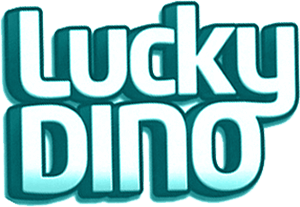 Play now and get 100% up to €100 casino bonus + 50 free spins!